A few years ago, I worked with two esteemed thought leaders on a business technology book. Both were skilled writers and I had confidence they could deliver strong, well-written content. When they delivered a draft of the first few chapters, I read through them with a sinking feeling. Their argument and methodology were good but where were the examples? How did the content relate to real world scenarios? How would readers get it? And then, at the end of chapter one, they nailed it. They described in detail a story of an executive who’d had a problem, struggled, and used one of their best practices to overcome it. Brilliant. Except the story was buried at the end of the chapter. What if readers put the book down before they reached the story? Don’t make the #1 business writing mistake and put your stories at the end of your piece. Use them up front to show readers what you want to tell them. I see this often: Consultants, analysts, and executives write a research paper or article on an interesting topic. They describe it for the reader, break it down, go from topic sentence to supporting arguments and analysis. At the end, they give an incredible example that makes the reader think, “Ah, ha, I get this!” The problem is, many readers may not make it that far. Attention spans are short. It’s tempting for many writers to warm up with an explanation and then get to the good stuff when they think the reader is ready for it. But business writing requires the same approach as most other writing – fiction and non-fiction – show don’t tell. It’s hard to break academic training. Many of us learned to write with a topic paragraph and supporting details. But today’s information consumption is radically different than an essay paper. We read in bits and short bites. Facebook status updates are stories. Blog posts are stories. Readers have become accustomed to personalized content. Give it to them and you’ll get their attention. Classic marketing materials describe how a brand’s products and services can help the customer. Brochures, white papers, and many content marketing posts cover the benefits, facts, features, and functionality of a product or service. Case stories may appear at the end or in sidebars. This method has been used for decades. 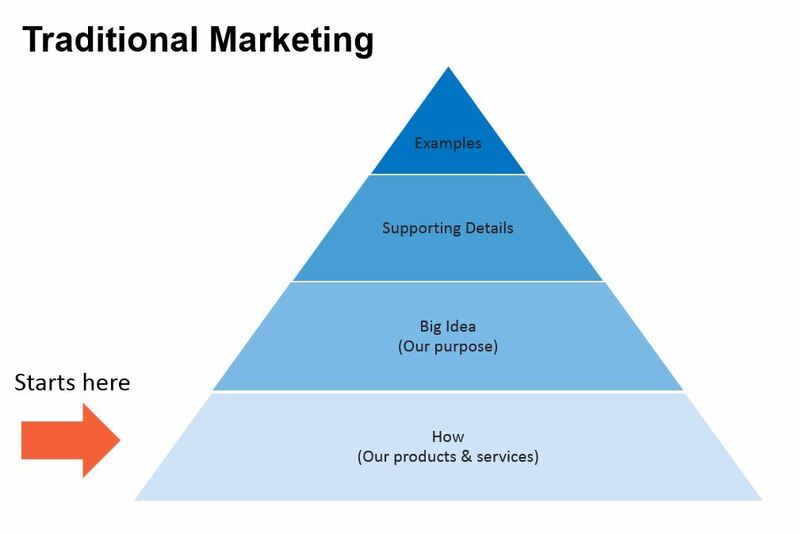 However, this approach won’t engage an audience because it does not address their needs or goals. It is essential to engage your audience by describing what matters to them. Instead of starting with your brand’s message, create a moment that highlights your customer’s challenge or goal. Better yet, use your own personal story to connect with your audience’s struggle or goal. 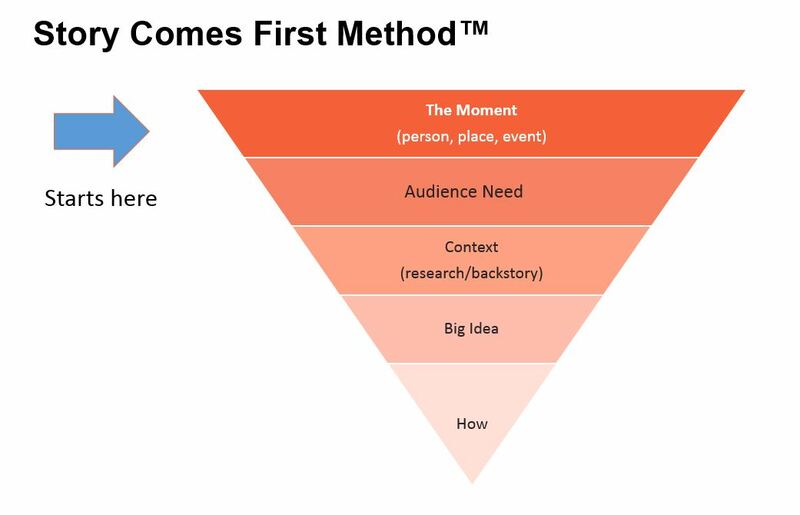 The Story Comes First method builds to your big idea and the solution of how your product or service helps your audience meet their need. Describe a person (yourself or audience target), place, event and their struggle, goal, or use of a product/service. Describe their goals, challenges and needs that relate to the moment. What is the context for the audience need and the moment? Tell the background story or feature research that supports or highlights it (reference quality sources that assist your brand). Describe the broader theme that solves the audience needs or puts them into context. This is where you introduce your theme, framework or model. Describe how your product, service, or technology works. This is the section for details on your process or solution and how it satisfies the customers’ needs or helps them achieve their goals. Ideally, you can interview your target audience and build stories about how they use a product or service. For a premium chocolate brand, I built stories about cozy Valentine’s dinners and Mother’s Day brunch. For a coach to entrepreneurs, I interviewed his clients and wrote stories about how a manufacturer struggled to scale up. Notice that Ruth doesn’t merely shop for items she needs for her household; she needs paper towels, laundry detergent, and “boy’s tube socks.” Each of these items creates a visual image for the reader, who can then better understand the need for the technology. 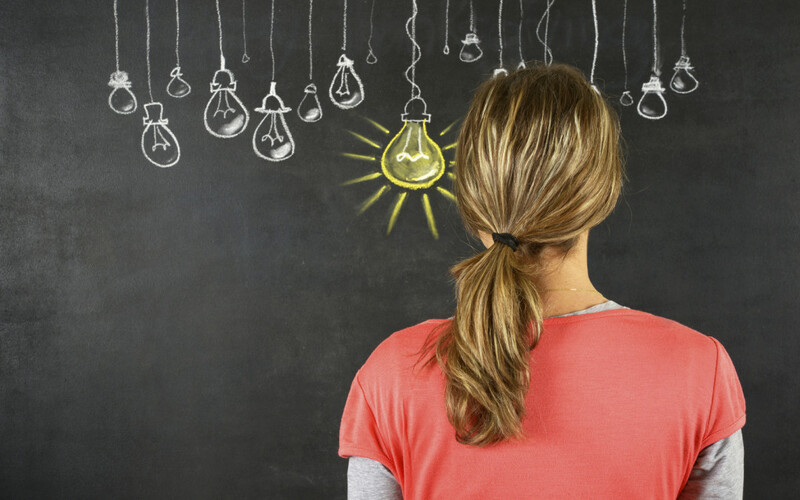 Stories make content marketing more about the content and less about the marketing. In order to speak to your audience in a language they understand, give them a moment from their lives. Think of it this way: Every product, service, or technology enables a human moment. Taking the time to find, develop and describe moments early in your content may mean the difference between whether your content is left unread or forgotten; or whether your target reader remembers your message and your brand long after they’ve put your content down. Want to learn more? Read my book, Brand, Meet Story for dozens of examples and details on how to build stories, create a strong voice, and develop your content marketing program for business results.